The tops of the Himalayan mountains above the clouds, view from the airplane. Nepal. Nepal. 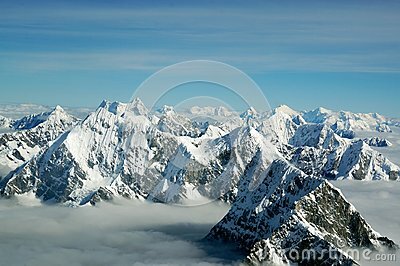 The tops of the Himalayan mountains above the clouds, view from the airplane.